In the midst of all the prosecutors, time travel, and supernatural romances, there were two notable science fiction Korean dramas that graced (k) dramaland in 2017- tvN’s ambitious “Circle” and OCN’s “chase thriller” “Duel”. Thankfully, both “Circle” and “Duel” delve upon different thought provoking concepts, and are very different from each other, with “Duel” also having the addition of being an OCN original, which made it full of heart stopping chases and interesting fight scenes, along with a dark and compelling mystery that continued to surprise until the end. “Duel” was written by Kim Yoon Joo, and was directed by Lee Jong Jae and Choi Young Soo. It starred Jung Jae Young as Chief Detective Jang Deuk Cheon; Lee Na Yoon as his daughter, Jang Soo Yeon; Kim Ki Doo as Kim Ik Hong; Seo Eun Soo as Ryu Mi Rae; Kim Jung Eun as Choi Jo Hye; Cho Soo Hyang as Park Seo Jin; and the breakout star of the show, Yang Se Jong as several characters including Lee Sung Joon and Lee Sung Hoon. It follows Chief Detective Jang Deuk Cheon as he tried to rescue his terminally ill daughter, Jang Soo Yeon, after she is kidnapped for ransom. However, he only has one lead to go on- two men who have the same face. Unfortunately, one of those men, Lee Sung Joon, has no memory of who he is and how he is connected to the case. Deuk Cheon and Sung Joon end up teaming up together in order to restore Sung Joon’s memory in the hopes that it would lead them to Soo Yeon. 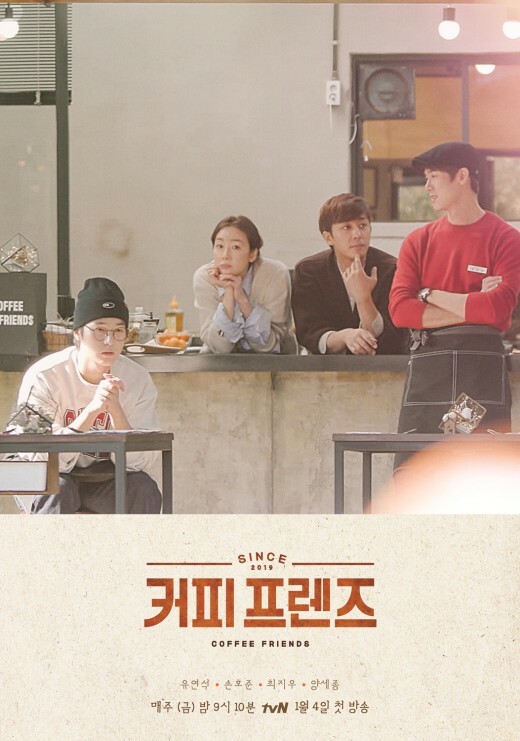 The pair constantly clash with the ambitious Prosecutor Choi Jo Hye; and team up with Ryu Mi Rae, a reporter whose past may have a connection to the entire mystery as a whole. As they dig deeper into the mystery and into the past, they discover a sinister plot and advanced scientific discoveries that are better left kept in the dark. There is enough in “Duel” to keep those who love mysteries and conspiracies engaged in this drama, as it did keep me guessing all the way until the last two episodes of the drama. OCN has always been known for its dark and engaging mysteries, and “Duel” was especially so, given the subject material they were given to work with. This drama had no qualms at all when it came to being violent and with what happened to these characters. It also satisfied me on the science fiction level, and although I did have some questions about how some particular things worked, I was satisfied with what I got in the end, even though not all of my questions were answered. With “Circle”, aside from aliens, talked about the manipulation of memory and how that can affect a person; while “Duel” talked about the dangers of genetic manipulation, and how all consuming and corrupting one person’s greed can be. It also touched upon the subject of nurture versus nature as well, and compares and contrasts the different familial relationships and units within the drama as well. Aside from the blatant product placement in one particular stretch of scenes in one episode of drama, it did have some pacing issues in the middle of it all, which was a little bit jarring given that the beginning and the last few episodes are fast paced and action packed. However, despite this, “Duel” managed to still hold my attention due to the strength of the characters and their actors. This drama had an extremely great male cast, and Yang Se Jong is no doubt the breakout star here as he had to play several different characters, and he managed to make each one distinctly different from each other. This is no easy feat for a rookie actor with this as his first leading role. Seo Eun Soo, another rookie actor, was great in her role as Mi Rae, as she managed to pull of playing the part of the optimistic and smart reporter quite naturally. Jung Jae Young did pull off playing the desperate and frantic father and good cop, and thankfully, managed to dial down the shouting early on into the show. Mad props also goes to little Lee Na Yoon who bravely shaved her head, just like Millie Bobbie Brown did, in order to play this sick little girl who is wise beyond her years. My only gripe with the actors was Kim Jung Eun, as she couldn’t emote with her eyes, making her stares sometimes look blank, uncanny and robotic. All in all, “Duel” had its flaws when it came to the pacing of the story, but its strength lies in its subject matter, the characters, and most of the cast in this drama. Once again, I cannot stop singing the praises of Yang Se Jong, and he is one whom I’m definitely going to watch out for in the future. Greed and genetic manipulation are at the heart of this story, as one man’s all consuming greed to remain at the top of the food chain and be immortal, and how it affected those around him, was the main driving force of the entire story. It also showed how greed itself can not only destroy a person, but cause other people’s lives to be ruined as well. It also warns us about the dangers that can happen when it comes to advanced scientific discoveries, especially if they do fall into the wrong hands, just as cloning technology and a cure all vaccine fell into the hands of one very greedy CEO. Without his need and want to have something that would cure his illness and allow him to live forever, then the miraculous vaccine in the drama, and the two Lee clones would have never existed. The drama also was a great character study when it comes to nature versus nurture, especially in the case of the clones Lee Sung Hoon and Lee Sung Joon. Both were clones born and raised in a laboratory, which they tried to escape. Sung Hoon, however, was captured, led to believe that his “mom” had died, and was subjected to various experiments in the span of twelve years. Because of that, and the fact that he was already the more sensitive one between the two clones, it is no wonder he became vengeful and wanted nothing more but to dole out the same kind of suffering he was put through to his captors and to those he believes had wronged him. On the other hand, Sung Joon also spent a lonely childhood, being passed from orphanage to orphanage until he could live on his own, but he ended up as the kinder of the two, as he already had a more positive outlook on life as a child, no matter what kind of hardships he went through. Thankfully though, Sung Hoon was able to redeem himself in the end, proving that you can still be redeemed, even at the end of all things. Then you also have the little and wise Soo Yeon, whose circumstances do echo what the Lee clones went through, as she was terminally ill, always in the hospital, and was used as the test subject of an experimental stem cell injection. However, despite everything, and mostly because she had her father to anchor her as well, she always remained positive and was wise beyond her years. It is no wonder that this little girl was the first one to start to melt Sung Hoon’s heart. Mi Rae also found herself in this position after discovering that she has the cure in her bloodstream, but her first instinct was to try and help save those that she could with it, without thinking of what that might entail for her. Soo Eun Soo was amazing here as she managed to give us a heroine who wasn’t overly plucky or quirky, and was pretty realistic as well. Lee Na Yoon was just precious as Soo Yeon, as she managed to play someone who was wise above her years, and was dedicated enough to her craft that she shaved her head for this role. The show also showed us a lot of parallels with regards to family units, from our rag tag team of heroes, to the Lee clones and their “mom”, to Deuk Cheon and Soo Yeon, all the way to the dysfunctional Park family. As mentioned earlier, the clear breakout star of this drama was Yang Se Jong. This was his first time to be in a leading role, and he definitely killed it, as he played FOUR distinct characters in this drama. The manic and cold-hearted Sung Hoon, the confused Sung Joon, a Sung Joon with all of his memories back, and their original form, Doctor Lee Yong Sup. It was amazing how he managed to differentiate all of these characters from each other, from the way they talk, react, act, and their physicality as well. There was also a point in which he, as Sung Joon, had to pretend to be Sung Hoon, and he does that, you can see how he changes in order to slip into the role of the other. This role was demanding both emotionally and physically, with everything the Lee clones had to go through, plus all the running, fighting, and getting beat up. This young actor is definitely one to look out for, and I’m eagerly looking forward to his next project already! I was honestly amazed at how much OCN pushed the limits of what they can do without being censored by Korean television standards, as there were moments when it got pretty dark, and there was quite a lot of gore and violence, for Korean television standards. They also didn’t shy away from showing the gravity of the situation, and that was fueled even more by the fact that Park San Young has got to be one of the most despicable villains I have ever seen in a Korean drama. I also like the way they used their camera angles in the drama, and how they utilized flashbacks and flash forwards to introduce clues and to throw us off the scent sometimes. I also liked the ending they presented us, even though it didn’t answer why Sung Joon could remember his host’s memories, and what caused Jo Hye and Deuk Cheon to drift apart from each other in the first place. However, despite all of this, I liked that our ragtag team of heroes became an odd family unit of their own, and although I did know that Sung Hoon was going to sacrifice himself in order to save Soo Yeon, Sung Joon, and to finally complete his quest for revenge, I still shed a tear or two for him. In the end, “Duel” is not a perfect drama, especially with its problematic pacing in the middle, and the casting of someone who cannot emote anymore with her eyes. However, “Duel” does boast some amazing performances, and an interesting mystery that is a very good commentary on the destructive nature of greed and how it can destroy people and families, especially when scientific advances fall into the wrong pair of hands. Have you seen “Duel”? What did you think of it? Let me know what you think in the comments below!